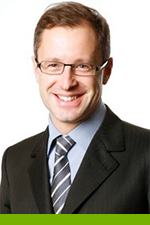 Stephan Neugebauer is Director Global Research Cooperation at BMW Group. He completed his university studies in mechanical engineering at the Technical University of Munich in 1991. He was a scholarship holder of Hanns-Seidel-Foundation. After this, while being research assistant at the “Institute of Internal Combustion Engines and Vehicles”, he completed his doctorate by obtaining the title of Dr.-Ing.. He started at BMW in the diesel engine development department, which is located in Steyr (Austria) as Expert for Acoustics and then Expert for Injection Hydraulics. In 1998, he returned to Munich in different new functions as Team Leader of Combustion Development of gasoline direct injection, Team Leader of Cooling Systems, and then Team Leader of Engine periphery. In 2005, he was transferred to the total vehicle development, taking over a new function as Head of the Energy Management Department and later as Head of the Thermal Management Department. In this functions, Stephan was responsible for the introduction of innovative fuel saving technologies like Engine Start Stop or Brake Energy Recuperation. As Head of Thermal Management, Stephan was also responsible for several research and development projects like thermal insulation of engines, which are now in the market introduction phase. Stephan Neugebauer also acted as Chairman of several conferences (Engine-Start-Stop Systems, Thermal Recuperation) and was Member of the advisory council for the “Conference on Innovative Power Train Systems” of VDI. In 2012, he was appointed by the German Ministry of Economic Affairs to serve on the national advisory council to the German government initiative “Electromobility”. Jean-Luc di Paola-Galloni is Valeo Group Corporate Vice-President for Sustainability and External Affairs since October 2010. 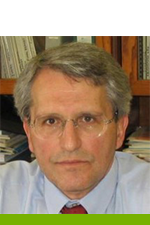 He was previously CEO's delegate, member of the executive committee at Valeo since December 2006. 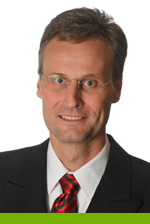 He joined ERTRAC as Vice-Chairman in July 2008 representing the automotive suppliers industry. In this respect, he's also member of the strategic group advising the board of CLEPA (European Association of Suppliers) and takes part to the electro-mobility working group within this association. His commitment to establish fair relationships between the automotive industry and international bodies, with a multi-stakeholder approach is also reflected by his commitment to the advisory board of the International Forum of OECD Transport Ministers from the beginning (2008) and to the Global Council of Automotive Industry of the World Economic Forum since its creation (2010). Since January 2010, Valeo Board member to the Modernization Fund of Automotive Suppliers (belonging to French Sovereign Fund - FSI). 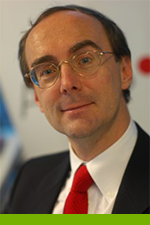 He was previously advisor to the CEO of Gaz de France (2002-2004) and has a research experience in the field of defence, international relations and strategic affairs at Harvard University (Cambridge,Massachusetts), Ecole Normale Supérieure and Institut des Hautes Etudes de Defense Nationale (in France). He holds several degrees in geography, urban planning, humanities. He had teaching positions at Boston University, Preparatory Classes to French Grandes Ecoles, Jean Monnet European studies center of Universita' di Trento (Italy),Tamkang University in Taiwan. Zissis Samaras is a Full Professor and the Director of the Lab of Applied Thermodynamics, Dept. of Mechanical Engineering, Aristotle University, Thessaloniki, Greece. His research work deals primarily with engine and vehicle emissions testing and modeling and he has carried out a wide range of projects on modeling emissions from internal combustion engines. Dr. Samaras was also involved in the development, testing and large-scale evaluation of Diesel particulate filters. He has provided expert advice to a number of organisations and private sector customers, including the European Commission, the European Environment Agency, the World Bank, the Greek Ministry of Environment, ACEA, CONCAWE, Rhodia, Inco. In addition, he was vice chairman of the management committee of COST action 319, on the Estimation of Exhaust Gas Emissions and coordinated a number of large European projects, including “Particulates, Characterisation of Exhaust Particulate Emissions from Road Vehicles” and “Inspection & Maintenance of in-use Vehicles”. He is elected Academic Member of the European Road Transport Research Advisory Council (ERTRAC) on "Energy, Environment and Resources". He is the author of more than 250 scientific publications, among them more than 100 in peer-reviewed journals, which received more than 400 citations in peer reviewed articles, reviews and technical notes. Neville Jackson has been the Chief Technology & Innovation Officer for Ricardo plc since 2009, moving to this position from the Technology Director for Ricardo UK Ltd, a position he held since 2000. He is responsible for developing the future global vision of automotive and energy technology at Ricardo and for the strategy, planning and execution of research and development. A graduate of Imperial College, London, his career has included 29 years at Ricardo focused on research and technology demonstration programmes covering advanced combustion engines, hybrid systems and energy recovery technologies. He has produced over 90 technical papers, keynote presentations or invited lectures in the US, Europe and the Far East. He was a founder board member of the European Automotive Research Partners Association and Vice Chairman from 2002 to 2008. He has also been a founder member of ERTRAC Supporting Industry Group. He is also Chairman of the UK Low Carbon Vehicle Partnership, an action and advisory group whose 200 members share an interest in the shift towards clean low-carbon vehicles and fuels. He is a member of the UK Automotive Council Technology Group, responsible for advising on UK investment opportunities, preparation and ownership of the UK Automotive Technology Strategy & Roadmap and supporting the development of a stronger and more technically capable supply chain. He is a member of the Energy Research Partnership which provides the UK Department for Climate Change advice on future energy strategy. He is a visiting Professor at the University of Brighton and a member of the UK Engineering & Physical Sciences Research Council Industry Panel which advises on University research funding. Rafael Cuesta is Head of Innovation at Transport for Greater Manchester. He started his career in Colombia in environmental protection in a development and regeneration setting, including working as an Environmental Consultant in the development of the Medellin Metro, Colombia. 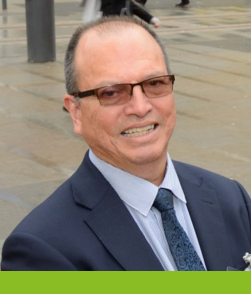 In July 1989, after completing an MA in Environmental Planning at the University of Nottingham, he joined Peterborough City Council in a planning role. Since relocating to the UK Rafael has worked on the NET tram development at Nottingham City Council and in other public transport operational and policy roles at Birmingham City Council, Transport for the West Midlands and most recently at Transport for Greater Manchester as head of innovation developing the next generation of transport and mobility solutions. Rafael also holds a post-graduate diploma in Project Management from the College of Estate Management at Reading University. He is a regular contributor to articles and co-Author of the book ‘Urban Design: Methods and Techniques’ published by Butterworth Heinemann Architectural Press. Rafael has a wide range of experience in the transport and intelligent mobility field and significant expertise in the development of mobility as a service. He has worked with big commissioning budgets and advices cities and European networks on sustainable mobility. He leads TfGM’s international co-operation programme in the areas of sustainable transport and urban development. He regularly moderates round tables at conferences and other high-level policy events. 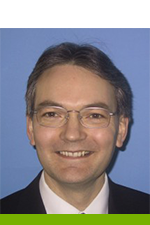 Andreas Dorda is ERTRAC Vice-Chairman representing the Member States. Mr. Dorda studied Chemistry at University of Vienna (Master 1987, PhD 1992), with a post Doc at University of California in Berkeley in the field of battery research. Mr. Dorda made a research career in the industry in France, Switzerland, Argentina and Austria. Since 1994, he is Deputy Head of Unit “Mobility and Transport Technologies” at the Austrian Ministry for Transport, Innovation and Technology. Responsible for several R&D funding programs for mobility management, transport research and development of transport technologies (“Logistics Austria Plus”, “Austrian Advanced Automotive Technology”). From 2006-2014, he was Managing Director of the Austrian Agency for Alternative Propulsion Systems, an organization acting like ERTRAC as joint platform for cooperation between industry, research institutions and public authorities in the field of infrastructure, transport and technology policy. Mr. Juslén has an MSc degree in Economics and Administration (1987) and a BA degree in Philology (1984) from the University of Tampere. After graduation, Mr. Juslén worked as an expert and project manager in several transport sector consulting companies for over fifteen years. He specialized in projects related to land-use planning, transport system modelling, transport infrastructure feasibility studies and asset management. During this time he also held the position of Team Leader on numerous long and short-term overseas projects funded by the World Bank, Asian Development Bank, EU programs and the Ministry of Foreign Affairs on Finland. Mr. Juslen joined the Finnish Road Administration (Finnra) in 2000 where he was first responsible for major software projects focused on road network modelling, asset management and maintenance operations and was later promoted to the position of Director responsible for Road and Traffic Information Management. In this position he also served as representative of Finnra in international co-operation with the Nordic countries, CEDR TG Research, ERTICO, etc. 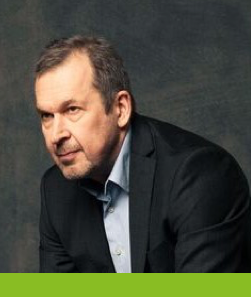 Since the establishment of the Finnish Transportation Agency (FTA) in 2010, he has been responsible for digitalization and software development programs, ITS development, transport system automation and test ecosystems and heading the Information Management Department. Mr. Juslén has been Finland representative in the ERTRAC Plenary for over five years.